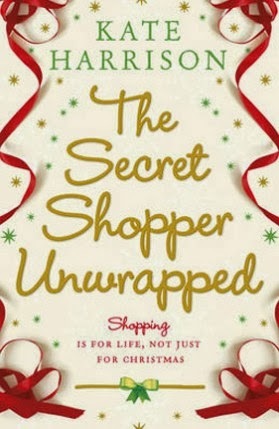 This is the second book in Kate Harrison's Secret Shopper Trilogy. We meet up with Sandie, Emily and Grazia. Formerly, Charlie's Shopping Angels. After the success of the rebrand of Will's DIY store, Sandie is on the up and up with her new business helping troubled companies to keep the wolves from the door. Emily and toddler Freddie are now living with Will above the shop. They've re-opened as a village shop and are struggling to make ends meet. Over Christmas, with the help of her son, Emily visits the department stores of London to check on the Santas in their grottos. Grazia, has moved on from her old life. With wealth on her side, and a new toy boy, she is checking out the latest hotels. Can Emily and Will pull together and lift the shop out of certain financial ruin. Will Sandie find balance instead of losing herself in her work and will Grazia remember just how old she told everyone she was? I loved this book, and was really difficult to put down.